To make it possible for celiac patients to eat cookie… Delicious gluten-free cookie created from the harmony of lemon fiber, orange puree and orange flavor. 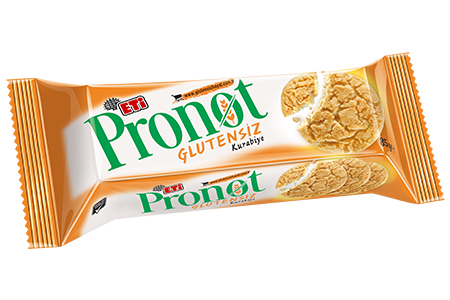 ETİ Pronot Gluten-free Cookie supports the special diet of celiac patients. Please click for more information on celiac disease and ETİ Pronot.